Time: AEST - Australian Eastern Standard Time - UTC +10:00. Final Four - played at Allphones Arena. Final attendance 16,849. Australia: 58/64 Caitlin Bassett 48/51, Natalie Medhurst 10/13. New Zealand: 55/75 Bailey Mes 17/22, Maria Tutaia 38/53. Jamaica: 44/47 Jhaniele Fowler-Ried 12/13, Romelda Aiken 26/28, Shanice Beckford 6/6. New Zealand: 50/64 Bailey Mes 15/22, Maria Tutaia 35/42. England: 39/50 Joanne Harten 31/36, Pamela Cookey 7/10, Helen Housby 1/4. Australia: 67/71 Caitlin Bassett 49/52, Natalie Medhurst 18/19. Jamaica: 56/62 Jhaniele Fowler-Ried 9/10, Shanice Beckford 14/16, Romelda Aiken 33/36. South Africa: 48/56 Lenize Potgieter 32/34, Maryka Holtzhausen 16/22. Malawi: 46/52 Mwayi Kumwenda 36/41, Sindi Simtowe 10/11. Wales: 64/74 Georgia Rowe 32/38, Chelsea Lewis 31/35, Emma Thomas 1/1. Uganda: 41/45 Proscovia Peace 31/34, Rachael Nanyonga 4/5, Stella Oyella 6/6. Malawi: 71/77 Joyce Mvula 1/1, Jane Chimaliro 6/6, Mwayi Kumwenda 49/53, Sindi Simtowe 15/17. 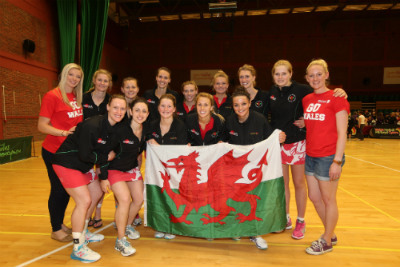 Wales: 52/60 Georgia Rowe 5/5, Chelsea Lewis 40/45, Emma Thomas 7/10. South Africa: 50/55 Lenize Potgieter 36/38, Maryka Holtzhausen 14/17. Uganda: 40/53 Proscovia Peace 18/24, Rachael Nanyonga 22/29. 1. Australia 14 7 0 1 534: 307 +227 1. 1. 2. New Zealand 14 7 0 1 492: 340 +152 2. 2. 3. England 12 6 0 2 485: 327 +158 3. 3. 4. Jamaica 8 4 0 4 481: 419 +62 4. 4. 5. South Africa 10 5 0 3 452: 350 +102 6. 5. 6. Malawi 10 5 0 3 521: 373 +148 5. 6. 7. Wales 8 4 0 4 392: 490 -98 8. 9. 8. Uganda 4 2 0 6 396: 435 -39 15. 9. Trinidad Tobago 12 6 0 2 454: 411 +43 10. 7. 10.Samoa 6 3 0 5 367: 496 -129 13. 12. 11.Fiji 10 5 0 3 426: 376 +50 7. 10. 12.Scotland 6 3 0 5 325: 384 -59 11. 13.Barbados 6 3 0 5 330: 406 -76 10. 11. 14.Zambia 4 2 0 6 400: 450 -50 22. 15.Singapore 4 2 0 6 313: 463 -150 19. 15. 16.Sri Lanka 0 0 0 8 237: 578 -341 24. 14. Player of the Tournament: Mway Kumwenda (Malawi). Trinidad Tobago: 64/72 Samantha Wallace 53/60, Joelisa Cooper 11/12. Samoa: 51/61 Julianna Naoupu 32/36, Sanita To'o 19/25. 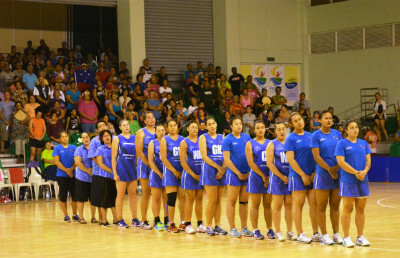 Fiji: 51/57 Taraima Mitchell 29/31, Unouna Afa Rusivakula 22/26. 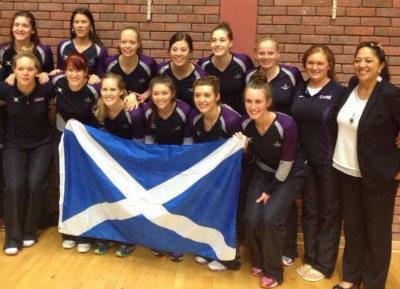 Scotland: 41/51 Lesley MacDonald 17/18, Linsey Gallagher 22/27, June McNeil 0/1, Gemma Sole 2/5. Trinidad Tobago: 57/65 Samantha Wallace 49/54, Joelisa Cooper 6/9, Kalifa McCollin 2/2. Scotland: 56/68 Gemma Sole 6/7, Linsey Gallagher 31/40, Lesley MacDonald 19/21. Samoa: 54/67 Julianna Naoupu 35/42, Sanita To'o 8/11, Auteletoa Tanimo 11/14. Fiji: 51/57 Taraima Mitchell 33/34, Unouna Afa Rusivakula 18/23. Barbados: 53/61 Faye Sealy 20/23, Nikita Piggott 11/13, Shonica Wharton 22/25. Zambia: 38/59 Carol Moono 4/8, Elizabeth Bwalya 17/24, Lucy Jere 7/12, Diana Banda 10/15. Singapore: 59/80 Mei Ling Yu 5/8, Charmaine Soh 41/50, Huifen Chen 8/11. Pamela Low 5/11. Sri Lanka: 32/41 Hasitha Mendis 15/19, Darshika Abeywickrama 6/9, Thishala Algama 11/13. Barbados: 56/67 Faye Sealy 43/49, Sheniqua Thomas 1/3, Nikita Piggott 12/15. Singapore: 39/49 Mei Ling Yu 1/1, Pamela Low 3/4, Charmaine Soh 28/34, Huifen Chen 7/10. Zambia: 70/79 Elizabeth Bwalya 28/34, Diana Banda 22/24, Lucy Jere 20/21. Sri Lanka: 36/40 Thishala Algama 29/31, Hasitha Mendis 7/9. From Tuesday 11th August to Friday 14th August. First 2 progress to 1/2 Finals. Rest to Classification 5-8. 1. New Zealand 6 3 0 0 188: 130 +58 2. 2. Jamaica 4 2 0 1 170: 164 +6 4. 3. Malawi 2 1 0 2 170: 173 -3 5. 4. Uganda 0 0 0 3 133: 194 -61 15. Jamaica: 48/53 Romelda Aiken 41/44, Shanice Beckford 7/9. Jamaica: 59/64 Romelda Aiken 16/16, Shanice Beckford 15/16, Jhaniele Fowler-Reid 23/25, Anna Kay Griffiths 5/7. Jamaica: 63/69 Romelda Aiken 44/48, Shanice Beckford 17/18, Anna Kay Griffiths 2/3. 1. Australia 6 3 0 0 206: 96 +110 1. 2. England 4 2 0 1 181: 130 +51 3. 3. South Africa 2 1 0 2 145: 168 -23 6. 4. Wales 0 0 0 3 97: 235 -138 8. England: 62/68 Joanne Harten 35/39, Helen Housby 14/15, Pamela Cookey 13/14. South Africa: 46/60 Lenize Potgieter 35/38, Maryka Holtzhausen 11/22. First 2 to Classification 9-12. Rest 2 to Classification 13-16. 1. Trinidad Tobago 6 3 0 0 208: 118 +90 10. 2. Samoa 4 2 0 1 148: 159 -11 13. 3. Zambia 2 1 0 2 159: 157 +2 22. 4. Singapore 0 0 0 3 107: 188 -81 19. 1. Fiji 6 3 0 0 173: 110 +63 7. 2. Scotland 4 2 0 1 138: 109 +29 11. 3. Barbados 2 1 0 2 138: 118 +20 9. 4. Sri Lanka 0 0 0 3 91: 203 -112 24. First Pools Round - NWC Preliminary. From Friday 7th August to Monday 10th August. First 2 progress to Second Pool Round. Rest to Classification 9-16. 1. New Zealand 6 3 0 0 119: 113 +86 2. 2. Australia 4 2 0 1 203: 100 +103 1. 3. Trinidad Tobago 2 1 0 2 125: 186 -61 10. 4. Barbados 0 0 0 3 83: 211 -128 9. 1. England 6 3 0 0 199: 103 +96 3. 2. Jamaica 4 2 0 1 211: 122 +89 4. 3. Scotland 2 1 0 2 90: 167 -77 11. 4. Samoa 0 0 0 2 114: 222 -108 13. Jamaica Jhaniele Fowler-Reid 39/45, Anna Kay Griffiths 11/16, Romelda Aiken 29/32, Shanice Beckford 11/13. 1. Malawi 6 3 0 0 234: 100 +134 5. 2. South Africa 4 2 0 1 209: 96 +113 6. 3. Singapore 2 1 0 1 108: 187 -79 19. 4. Sri Lanka 0 0 0 3 78: 246 -168 24. 1. Wales 6 5 0 0 179: 143 +36 8. 2. Uganda 4 2 0 1 182: 117 +55 15. 3. Fiji 2 1 0 2 151: 171 -20 7. 4. Zambia 0 0 0 3 133: 204 -71 22. Australia Host 1st World Women 2011 - 1. 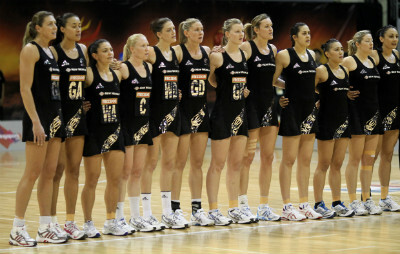 New Zealand 2nd World Women 2011 - 2. England 3rd World Women 2011 - 3. Jamaica 4th World Women 2011 - 4. 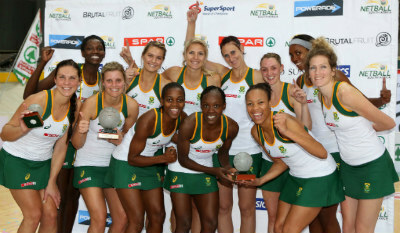 South Africa 5th World Women 2011 - 5. Malawi 6th World Women 2011 - 6. From 2011 Zambia replaced Botswana and Scotland replaced Northern Ireland. No Draw. Pools made taking in account the World Ranking to make the matches more compatitive. Pool A: Australia (1), New Zealand (2), Barbados (9), Trinidad Tobago (10). Pool B: England (3), Jamaica (4), Scotland (11. ), Samoa (12). Pool C: Malawi (5), South Africa (6), Singapore (13), Sri Lanka (15). Pool D: Fiji (7), Wales (8), Uganda (14), Zambia (16). Sri Lanka and Uganda swapped to compile with the rule that no more than 2 nations from the same federation should be in one pool.